Proven to last 1 year or more, Radiesse® is designed to smooth moderate to severe facial wrinkles and folds, and correct volume loss in the back of hands. 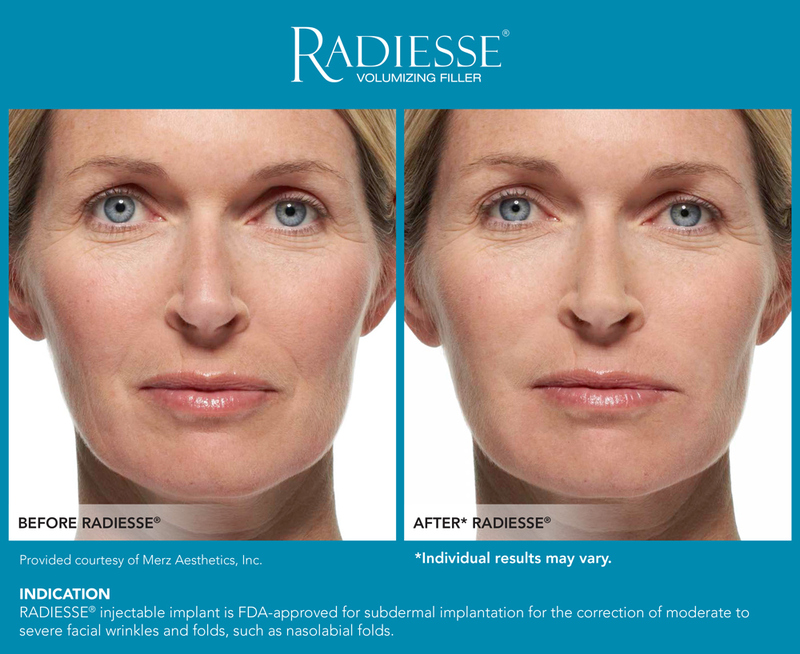 Radiesse is FDA-approved in the US for use in correction and augmentation of facial defects and is offered at our office in Cape Coral. It is composed of calcium hydroxylapatite CaHA (30%) microspheres suspended in an aqueous carboxyl methylase (70%) gel carrier. CaHA is found in nature as the mineral component of human bone. Radiesse is composed of a synthetic CaHA, which shares the same biocompatibility profile of the natural compound. It requires no skin testing and shows no evidence of migration or ossification. 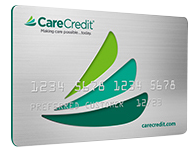 The gel carrier is naturally broken down by the body over 4-12 weeks, leaving only microspheres. The microspheres are uniformly shaped and are prevented from packing tightly together, thereby forming a scaffold that promotes soft tissue formation within the tissue where the CaHA is placed. Over time, fibroblasts will lay down a collagenous extracellular matrix over the microspheres. CaHA microspheres are not permanent; the particles slowly are broken down into calcium and phosphate ions via the body’s normal metabolic process. Longevity of the product ranges 12-18 months, more extended in areas of decreased facial expression. Longevity of correction is dependent on multiple factors including the area of placement, the age of the patient, their rate of metabolism, etc. Post-treatment care involves the application of ice over injection areas to decrease tissue edema. Post-treatment follow up visits are typically scheduled 8-12 weeks after treatment to assess patient satisfaction and to provide touch up injections as needed. For optimal and long lasting results, a 2nd touch-up procedure is sometimes warranted, as evidence suggests that the gel carrier of CaHA resorbs at a slightly faster pace than the pace at which tissue in-growth occurs. Performing a touch-up injection at approximately 8-12 weeks after the initial injection optimizes longevity. If you or someone you know is interested in learning more about Radiesse or any other procedures, call Dr. Taylor’s Cape Coral office at 239-540-9918 or her Fort Lauderdale office at 954-290-4053 to be scheduled for a consultation today.